Expedia can help you save heaps with a Henties Bay travel package. With all that extra cash in the bank, you might even like to lock in a few more nights. Would you like to earn savings up to C$590*? Get your group's package deal on Expedia now! Our exhaustive database provides more than 400 partner airlines and 321,000 worldwide properties. With such a great range to pick from, you really can't go wrong! Almost all bookings can be cancelled without any added fees from us. It can be really nice to just amble around the streets when you're in a new place, but sometimes it's sensible to have a plan. Grab your travel schedule — we have plenty of wonderful ideas for your impending Henties Bay vacation. Venturing out on the fairways is a fantastic way to stretch your legs and have a ball. Challenge your skills with a friendly round at Henties Bay Golf Course. Still got time on your hands? There is something soothing about the murmuring swell at the seaside. 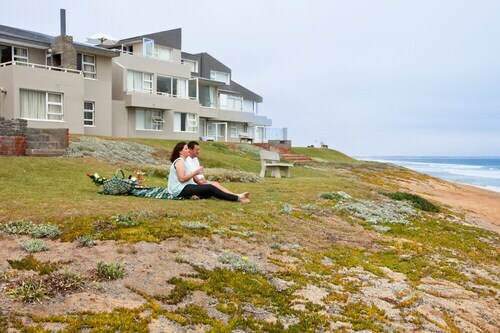 Unroll a picnic blanket, sit back, relax and observe the ocean's ever-changing moods at Henties Bay Beach. Sadly, there aren't a lot of accommodations to select from in Henties Bay. The Desert Rose (Elf Street) is the only Expedia-listed property nearby. Sitting 50 miles (80 km) away, Arandis Airport (ADI) is the closest terminal to your destination. Buckle up that seat belt and switch off that in-flight movie — your exciting trip to Henties Bay is about to begin! 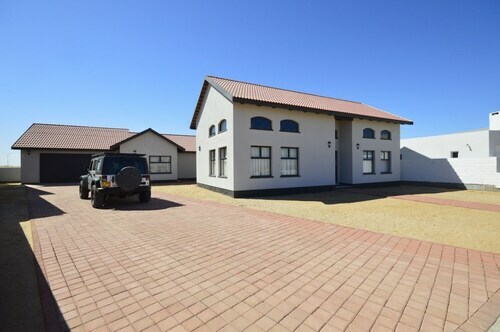 Situated by the sea, this apartment building is 0.1 mi (0.1 km) from Henties Bay Beach and within 3 mi (5 km) of Henties Bay Field and Henties Bay Golf Course. Super & spacious apartment right on the beach. 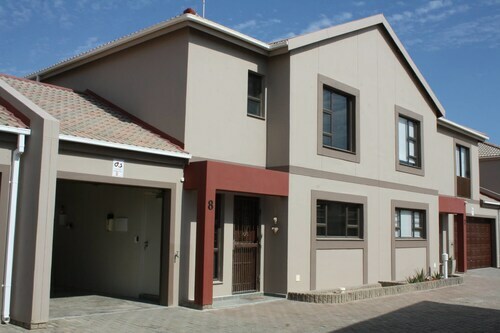 Very well equipped for self catering, good balcony with bbq as well. Short walk/drive to Henties centre, although v quite at this time of year - perfect for fishing! Situated by the ocean, this apartment building is within a 15-minute walk of Henties Bay Field and Henties Bay Golf Course. Henties Bay Beach is 0.8 mi (1.3 km) away. 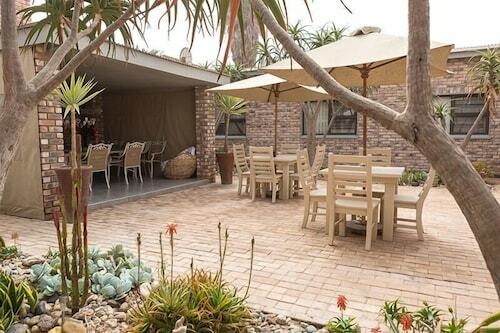 Situated in Henties Bay, this bed & breakfast is within a 10-minute walk of Henties Bay Beach and Henties Bay Field. Henties Bay Golf Course is 1.1 mi (1.8 km) away. Fri., 3 Jan. - Sun., 5 Jan.